Get back your self-confidence and improve your overall health with beautiful dentures from Ora Dentistry. Whether you have lost some or all of your teeth, dentures can be an affordable and comfortable restorative dentistry treatment for restoring your smile. There have been great strides made in improving the comfort and appearance of dentures. You deserve a beautiful smile that can make you look like yourself again. When you lose all or most of your teeth on the upper or lower jaw, there are repercussions to your appearance and health. You can no longer chew the foods that help you stay healthy, impacting your well-being. You may also notice a difference in your facial structure once the muscles no longer have teeth supporting them. Full or complete dentures replace upper, lower or both sets of teeth to give you back your complete smile. Dentures can be worn by almost anyone and come in a variety of options to fit your budget. When only a few or several teeth are missing, partial dentures may be an option. Unlike dental bridges or implants, partial dentures are removable. When bridges or implants are not recommended or affordable, partial dentures can still give you back a complete smile and help maintain your overall health. Creating comfortable dentures starts with having an excellent restorative dentist. Dr. Dalla specializes in restorative dentistry and can help create dentures that look natural and are extremely comfortable. In addition to conventional dentures, we also offer dental implants, implant supported dentures and dental bridges, giving you a wide variety of options to choose from when it comes to restoring your smile. Contact us today to learn more about restoring your smile with dentures from Ora Dentistry. 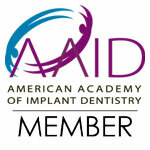 We accept many dental insurance plans; plus, we have payment and financing options available.